ORLANDO, Fla. - If you have a “Walk Around the World Brick” near Magic Kingdom, you soon won’t be able to see it when visiting Disney World. Disney says reconfigured walkways, tram loading and unloading zones along with security improvements like more bag screening stations and metal detectors are why the bricks will be retired in the coming months. You can purchse your commemorative brick version by doing the following. After verification, you will be given a one-time use voucher to present by Aug. 31 at Tomorrowland Light & Power Co. (at Magic Kingdom Park – separate theme park admission required) or the Marketplace Co-Op (at Disney Springs), enabling you to purchase one commemorative 6-inch brick at a special price of $10 (plus tax). 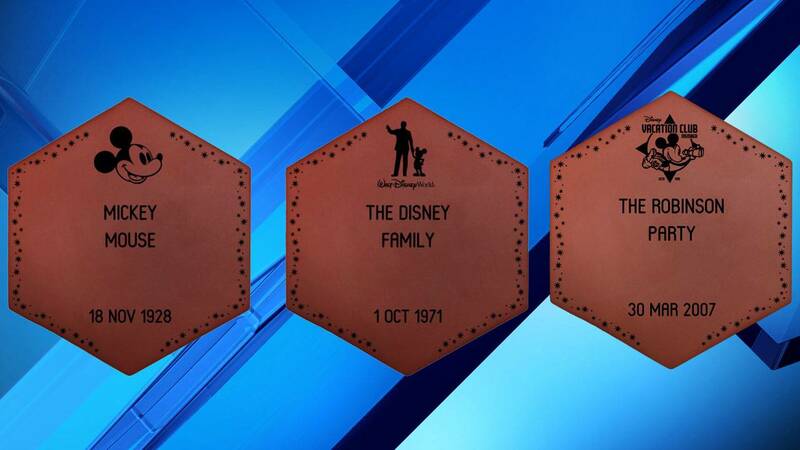 If you did not participate in the original “Walk Around the World” program but would like to purchase a personalized brick, souvenir bricks are available for $29.99 and higher at Tomorrowland Light & Power Co. at Magic Kingdom Park ) or the Marketplace Co-Op at Disney Springs or later on shopDisney.com starting this spring.